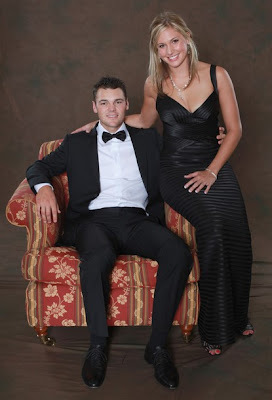 Allison Micheletti is the girlfriend of Martin Kaymer. But she's also a golfer in her own right, having played collegiately at Furman University. This week Allison is in Spain trying to make it through an LET Q-School pre-qualifier. And she's getting some attention because Kaymer showed up to caddie for her. Before Kaymer arrived, she shot 89 in the first round. With Kaymer on her bag in the second round, Micheletti improved to 76. Nice job, Martin! So she's not going to make it through the prequalifier. But perhaps the experience will settle her nerves for the next attempt. OK, Golf Babes Nation, it's time to do our civic duty and cast votes: Three finalists in the Golf Channel Instructor Search have been announced, and one of those three will be getting his - or, hopefully, her - own series on the Golf Channel. And one of those three finalists is Karen Palacios-Jansen, a k a KPJ. I recall first seeing KP - the "J" wasn't there yet - many years ago in the infomercials for the Perfect Club. Remember them? But if you've watched Golf Channel at all over the past decade, you probably already are familiar with Karen, who has been featured on network programming many times. She's a regular on the Top 50 Women Instructors list every year going back to 1998. She's been an LPGA regional teacher of the year, and an LPGA national teacher of the year. Karen's not just a golf instructor; she's also a certified personal trainer and has her own golf events management company. She'll bring a wide variety of experience and expertise to her own Golf Channel show. And she's also married to speedskating legend Dan Jansen (hence KP became KPJ). C'mon, if she can earn Dan Jansen's vote, doesn't she deserve yours? Besides, do we really need another beer-sunscreen-and-cigar-scented old dude on the Golf Channel? No, we need the lovely and talented Karen Palacios-Jansen. You can vote through December 15, but you know what they say: Vote early and vote often. Click that link to go to the voting site. For more on Karen, visit KPJGolf.com. Ayaka Kaneko is coming off her first full year playing golf as a tour pro, and heads into LPGA Q-School Finals in December. She was born in Japan (her father played pro baseball for the Chunichi Dragons, but spent her teens years in Hawaii, winning numerous tournaments and awards as part of the powerhouse Hawaii Junior Golf Association. Ayaka finished second at the 2006 Callaway Golf Junior World Golf Championship and was runner-up in the 2007 U.S. Junior Girls Amateur Championship. She was a 2007 Junior All-America. As an amateur she played in several LPGA tournaments (first in 2006) and in a couple JLPGA events. 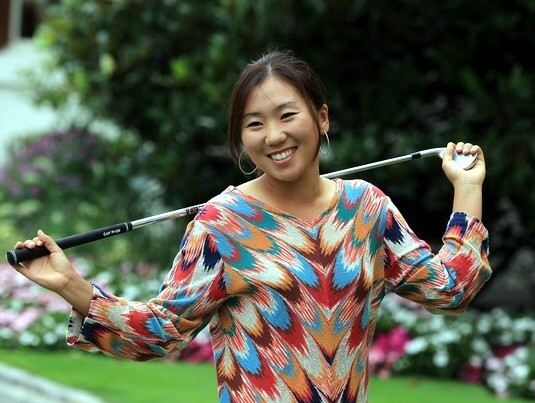 On the Futures Tour in 2010, Ayaka made 12 of 17 cuts with a best finish of 15th. She turns 21 in January of 2011. 1. Tell us about your background, born in one country and raised in another. Andia Winslow is a model golfer. Make that: She's a model and a golfer. And you can expect to be seeing more of her. From the same family that includes NFL Hall of Famer Kellen Winslow, Andia grew up in Washington state but played her collegiate golf at Yale. Academics are important at Yale, of course, and they were (and are) important to Andia: She graduated with a degree in sociology, and also found time at Yale to direct a documentary film. 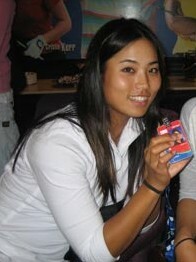 A member of the golf team from 2000-2003, one of her teammates for a year was Jeehae Lee. After college, Andia pursued golf, fitness and modeling. Her interest in fitness resulted in training with USA Track & Field for a time, and she eventually founded her own company. You can find workout tips from Andia - some tailored specifically for golfers - on her YouTube channel. It's not hard to understand why the fashion industry would be interested in Andia. She's done commercial, print and runway modeling. Her most recent runway show was at Phoenix Fashion Week, which is where the image below was taken. And golf? Andia played in the 2006 LPGA Ginn Open as sponsor invitee. But she was forced to step away from competitive golf for personal reasons, and only now is getting back into the swing. Andia told me that she plans to start playing tournaments again in 2011: the Futures Tour, Canadian Women's Tour, state opens, and qualifying for the U.S. Women's Open. 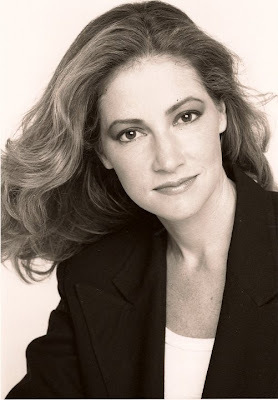 Her Web site - andiawinslow.com - recently launched, and you can also check out her blog. Did Carling Coffing make a birdie, or did she just win the Heisman? This image is the last in a series of 12 demonstrating Carling's "birdie dance," and posted on Facebook by the LPGA (view the page). Carling's birdie dance got national television exposure during Big Break Sandals Resorts. And for winning that season of Big Break, Coffing is in Mexico this week to play in the Lorena Ochoa Invitational. 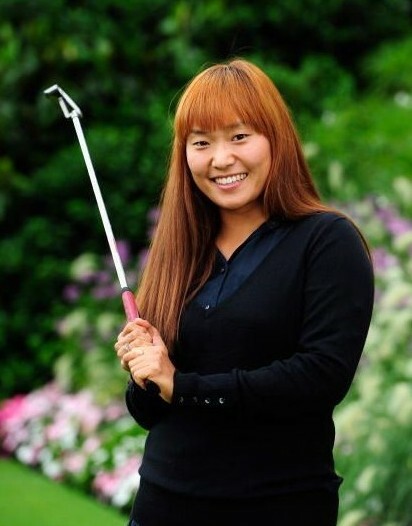 Soo-Jin Yang plays on the Korean LPGA. She was the runnerup in the Daishin Securities Tomato M Korea European Ladies Masters (whew! ), a tournament cosponsored by the Ladies European Tour and KLPGA. I'll be honest: I know nothing about her beyond that. But if you want to delve into Soo-Jin Yang-ness, immerse yourself in Soo-Jin Yangosity, you can probably do so at Mostly Harmless or Seoul Sisters. Sharmila Nicollet is a 19-year-old from Bangalore, India, currently playing on the Ladies Asian Golf Tour. 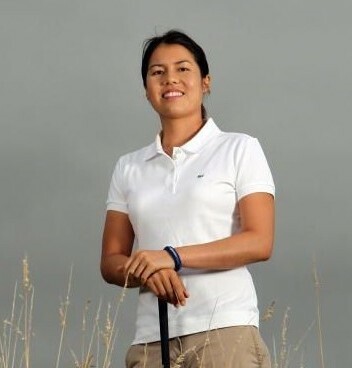 She is in the field at the Taihu Ladies Open in China this week, an even cosponsored by the LET, Ladies Asian Golf Tour and China Golf Association. An article about her written by the LAGT and appearing on the LET Web site notes that Nicollet "could easily pass off as an actress in the Bollywood industry because of her height and good looks." Right now, Sharmila wants to build up a stranglehold in India and then Asia. "Later on, I'll try and conquer Europe and America to establish my status as among the best professionals in the world. I have time on my side and once this is achieved it's a dream come true," she said. Nicollet has three wins in India in 2010, and has made the cut in three of five LAGT starts so far in 2010. A couple days ago we told you that the 2011 Paula Creamer calendar, available only in Japan, is ready. And so is the other annual calendar published by Golf Digest Japan, the 2011 World Ladies Golf Calendar. Every year going back at least several decades, GDJ has published a wall calendar that features female golfer from outside Japan (the "world ladies"). For the 2011 edition, the calendar revisits some of the popular golfers from its past. Unfortunately, I can only ID the top photo: That's Laura Baugh. The other two, I'm not sure which golfers are pictured. Those are the (from top) May, November and December pages from the calendar. Alas, as always, the calendar is available only in Japan. But if you really want a copy, check eBay from time to time. I've seen editions from previous years show up there, although they are rare. Congratulations to Beatriz Recari. The young Spaniard just earned her first win on the LPGA Tour, shooting 70 in the final round to win the CVS Pharmacy LPGA Challenge by one stroke. The glamorous rookie was approached by Sports Illustrated about appearing in that magazine's 2010 swimsuit issue. Scheduling conflicts prevented it from happening - but I bet there are many people with the LPGA who are hoping it happens in 2011. Recari had two Top 10 finishes in 14 starts on the LPGA in 2010 prior to the CVS victory. Before arriving on the LPGA, Recari was a success on the Ladies European Tour - she won the 2009 Finnair Masters and finished in the Top 25 on the money list. She gained a little notice earlier in 2010 after a social media campaign to win the Mojo 6 vote succeeded. Brittany Lincicome opened the 2010 CVS Pharmacy/LPGA Challenge with a sweet little round of 61. How good is that? There have been only five rounds better than it in LPGA history - Annika's 59 plus four rounds of 60. Brittany also tied the second-best mark in tour history by making 11 birdies in a single round. She tied the second-best mark in tour history in shooting 11-under par in one round. And she tied the second-best mark in tour history for first-round score.